Laurel, Bay leaf or Δάφνη (Daphne) in Greek, is a multi-year evergreen shrub found in the Mediterranean countries and in Asia. It prefers wet locations and requires rich soil, plenty of sun and wind protection. We will meet this shrub in the forests or rocks near the coast. It is cultivated with seeds but also as ornamental in gardens and for use in cooking. The trunk has a dark bark. It is an evergreen shrub with leather and slightly wavy edges. When the leaves are rubbed they release their aroma. Its flowers are pale yellow in color and bloom from February to April in small clusters, beside the leaves. Feminine flowers that grow on separate stems give dark, fruit-bearing fruits in the size of a small cherry, which have a green, oily and extremely fragrant flesh. The leaves are collected all year round. To always have fresh laurel, it is best to buy small plants that are transplanted in the spring. For therapeutic purposes we use the fruits and leaves (without the stems). Proliferation is easy, with seeds and suckers. There are several varieties that stand out, depending on the shape and size of the leaves, most notably Latifolia having large leaves and oval shape and Augustifolia with narrow leaves. Cultivating laurel, you will not face many problems. They can be cultivated in almost all soils, from acidic to alkaline, from sandy to clay, withstanding drought and frost -30C. Frequent watering and periodic fertilizing (once a month), from May to September, favour the rapid growth of the plant and the creation of a rich, lush, deep-green foliage. It is often affected by beetles and must be sprayed with suitable insecticides. Laurel contains up to 3% volatile oil, including quinole, acetate, linalool, tannin, resin and glidants, sesquiterpene lactones and isoquinoline alkaloids. Its fruit pulp contains a significant amount of lipid. It also contains lauryl, lauron, wax, starch, basorin, albumin and sugar. The leaves and fruits are aromatic with a subtle taste. If we chew them we will feel heat and plenty of saliva. According to Greek mythology, Daphne was the daughter of the river god Ladon and was a beautiful and free girl. When Apollo first met her, he immediately fell in love with her and wanted to make love to her. Daphne, in order to avoid him, requested the assistance of her mother Gaia, who transformed her into a beautiful and bumpy tree. Apollo, to comfort himself, cut leaves from this tree and crowned with them he arrived at the Oracle of Delphi. Since then, the ancient Greeks have been crowning the winners of the Olympic Games with the leaves of Daphne, while Pythia used them for her prophecies. The laurel apart from the god Apollo was also dedicated to the god Asklepios, since its medicinal properties were known from antiquity. Laurel was considered a symbol of wisdom and poetry. It also meant, for Greek ancestors, prosperity and protected the houses from bad luck and lightning, as they believed. Even today, however, the laurel is identified with glory, victory and supremacy. Greek doctors used the laurel leaves and fruits for its tonic properties, for stomach and bladder issues. Hippocrates administered it as an analgesic after birth and for various gynaecological problems and with laurel oil he healed infertility. Dioscorides used its bark to dissolve the kidney stones and relieve patients of liver infections. He also recommended them for use against rheumatism, arthritis, indigestion and respiratory disease. During the Renaissance, Doctor Thibault Lesrleigney considered the laurel as a panacea (panacea: the anthropomorphic secondary deity of Greek mythology, intertwined with the concept of healing (or herbal therapy) for any disease). The Romans called it Laurare (praise) because they believed that the tree deserves the highest honour. In front of the gates of the imperial palaces, they planted laurels in tree rooftops and that is why Pliny had named the plant a concierge and guardian of the emperors. Bedouins of the desert knew the plant and put a bay leaf in their coffee to flavor it. Has digestive properties, stimulates gastric atony, stimulates appetite and fights fermentations. Is recommended as an expectorant and is valuable against colds, bronchitis and nasal fractures. It has antiseptic properties, spasmolytic, aromatic, digestive, cholerative and sweating. The powder of laurel leaves has antipyretic properties. Externally, it is used to treat rheumatic pain. The dried leaf powder is used in nose bleeds. Inhalation as an essential oil in a fragrance, in small quantities, helps to awaken and stimulate the body. In folk remedy it is considered an anti-rheumatic, against deforming arthritis. Is recommended for sprains and strains of muscles. The powder of the leaves when treated on ulcers accelerates their healing. In Crete, women used to place under the sun a vase of green olive oil and laurel seeds, which they later used to apply on their head to strengthen their hair. Many farmers in the summer wash their animals with laurel water to kill the parasites. 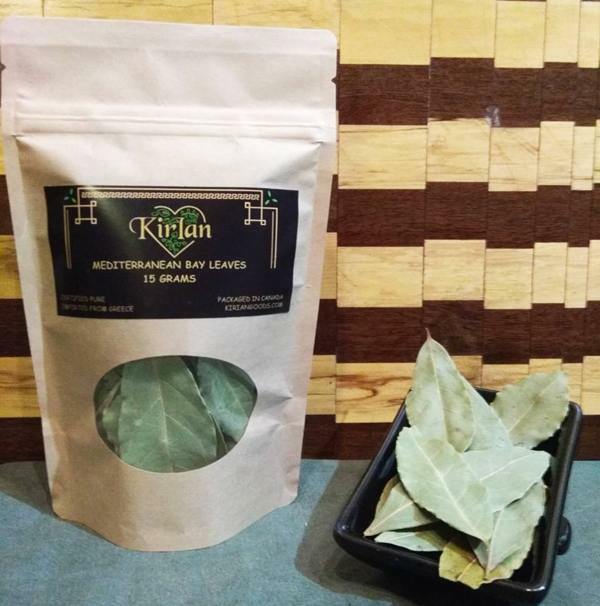 The laurel leaf is used to add flavor in sauces, potatoes, fish, marinades, pulses etc. 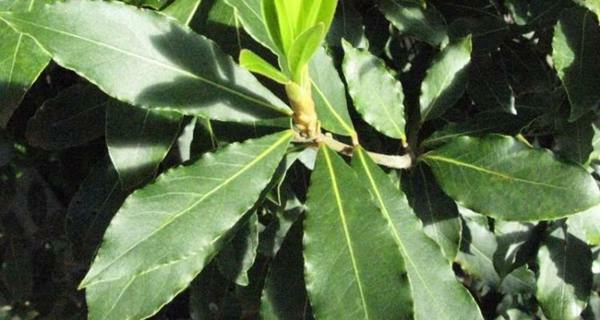 A sparse tisane of laurel leaves is used as a parasiticide of organisms parasitic to horses. Laurel’s essential oil helps to concentrate and improve students’ performance. Use 16-30 grams of laurel leaves per litre of water. Helps digestion. The bay leaf oil is used in rheumatism. Steep 100 gr of dried leaves in 100 gr alcohol in a well-sealed vessel for 24 hours. Add 1 litre of virgin olive oil and cook in a bain-marie for 6 hours, never reaching a boiling point. Strain it and keep it in a cool place. Asteroid 41 Daphne (41 Daphne), discovered in 1856, was named after this nymph. The essential oil that is in the leaves and fruits (laurel oil) is used for the preparation of insecticides and pesticides. Scatter laurel leaves into sachets at various points of the house to keep the bugs away. Long-lasting inhalation of essential oil can cause insomnia and over-stimulation.